Hello and thank you for joining us here. East Bay Alliance Church has been together, throughout different parts of the East Bay community, for over 40 years. One in Cantonese with some Mandarin worship, and one in English. 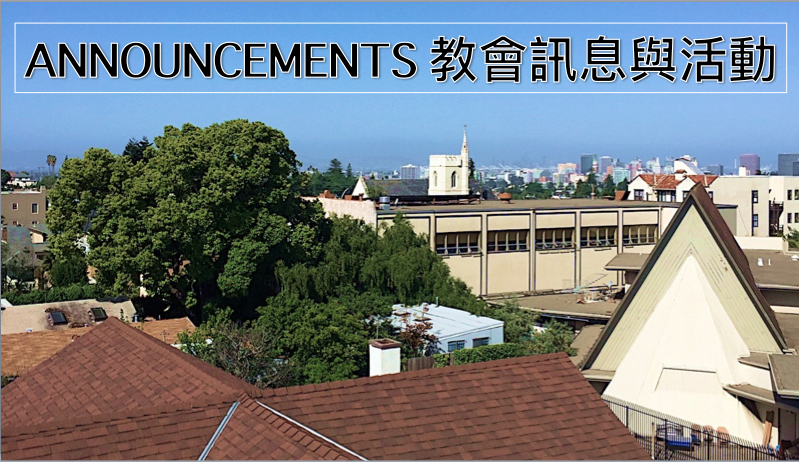 Additionally, we have adult Sunday School Classes in English, Cantonese, and Mandarin; children and youth classes in English; and Community Groups in English and Cantonese. + On the first Sunday of every month, we have a combined service. There is no 9:30am service. + 10am | Brunch on the First Sunday of every month, followed by a combined service at 11am. + 12:15pm | Lunch on the Third Sunday of every month, followed by prayer meeting at 1pm. The wait is finally over!! This summer’s fun activities include going to the zoo, rock climbing, bowling, and camping! 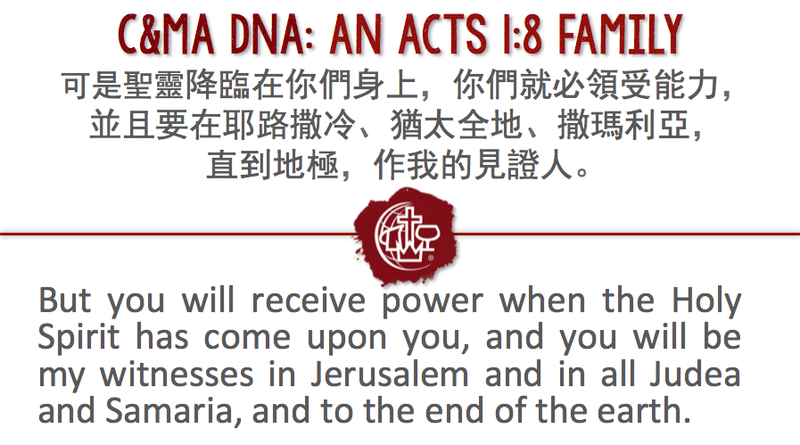 Join the Acts 1:8 Family! Without going into great detail as to all the reasons we love the Christian and Missionary Alliance, check out these videos for a glimpse into what makes the C&MA what it is today. At East Bay Alliance Church, we value the moving of the Holy Spirit. We trust that each individual is equipped with gifts that benefit the church body and community when serving in various ways. There are so many people who make up the EBAC family and who lead in various capacities. These are just a few of us who make up the staff and governing board.